Does Time also nominate the 22.2 million dollars the OSW thugs have cost the American taxpayer? We assume Time has failed to notice, or care, that the kosher Milk Street Cafe has gone out of business because of the protests killing street traffic. Obviously, We beg to differ with the overbred, overeducated comrades of Time. 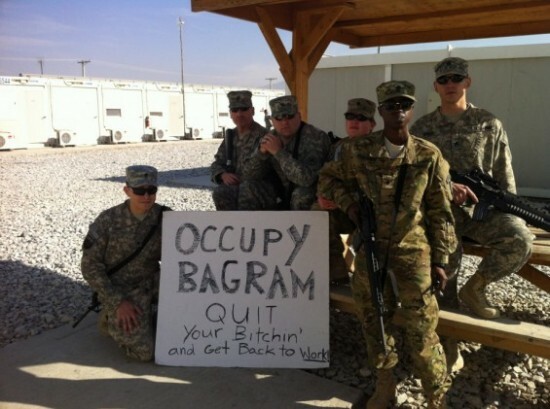 Our troops in Afghanistan send a message to the unhinged OWS losers. Our son-in-law, who is married to Offspring #2, frequently eats at the Milk Street Cafe in New York’s financial district, a kosher restaurant. He says the food is wonderful. But it’s losing all it’s business because of the OWS trash. So said the economic hero to the statists of the left. Funny how the social and economic philosophers that gave birth to the modern liberal progressive movement—Proudhon, Engels, Marx, Lenin—were all raving Jew-haters. 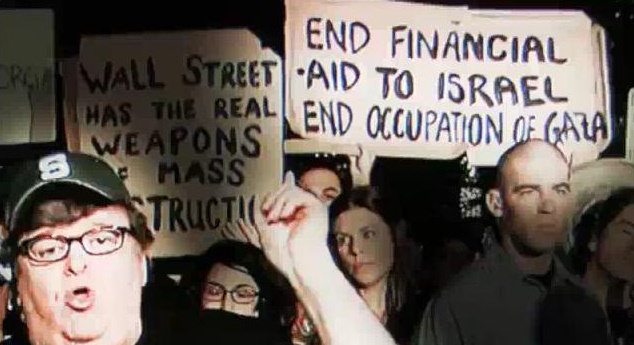 Hence it’s no surprise that the Occupy Wall Street rabble are also neck deep in anti-Semites, for Jew-hatred is essential to their collectivist, anti-capitalist ideology. 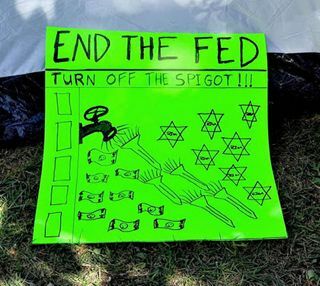 This Occupy Wall Street sign in Los Angeles. So far the OWS movement has been praised and endorsed by President Obama, Nancy Pelosi, Al Sharpton, the American Nazi Party, the American Communist Party and of course the Muslim Brotherhood front, CAIR. 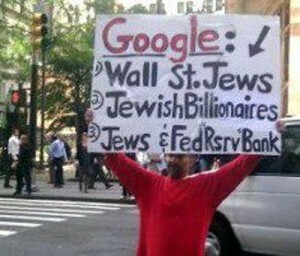 And of course the notorious millionare Communist Michael Moore has joined the OWS mob. 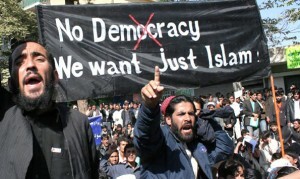 You know how the media is telling us that the Occupy Wall Street movement is just like the Tea Party? 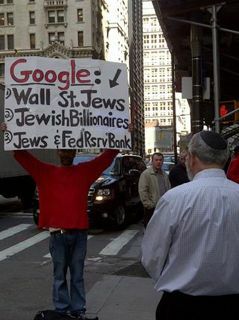 Since OWS is a liberal/progressive/leftist movement, Jew-haters are popping up all over the place.